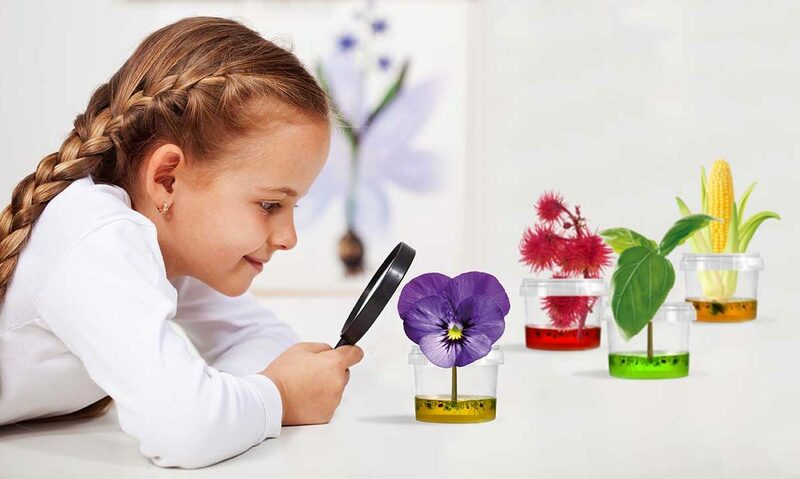 Educational activities for kids: the plants born within an ecosystem! 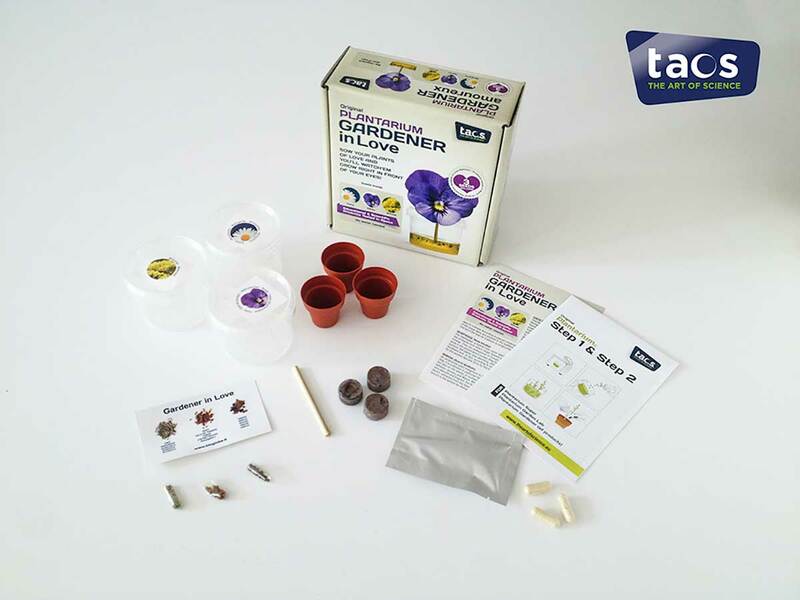 Plantarium© is a line of products and educational activities for children derived from aerospace technology, produced in our workshops, in order to recreate the nutritive and non-toxic culture media for life of plant and animal ecosystems. 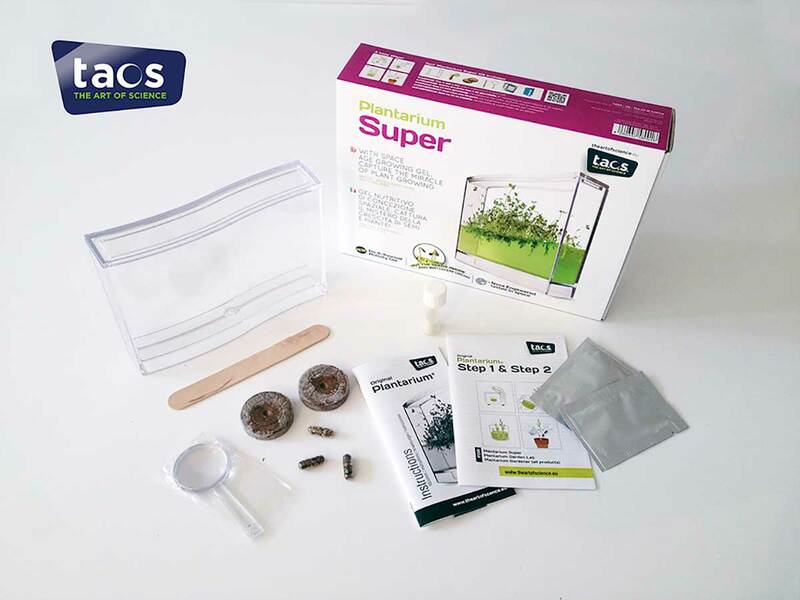 Kids can build their own ecosystem, place the seeds and observe the growth of plants using the transparent color gel. 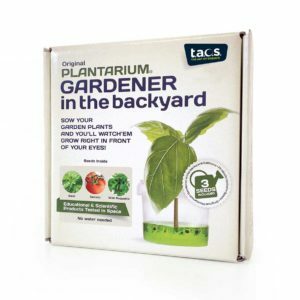 The seeds are basil, cucumber, sunflower, tomatoes; Once grown, plants can be transplanted in the garden or in a pot. liquid, without letting it escape. Boil for 20 seconds. 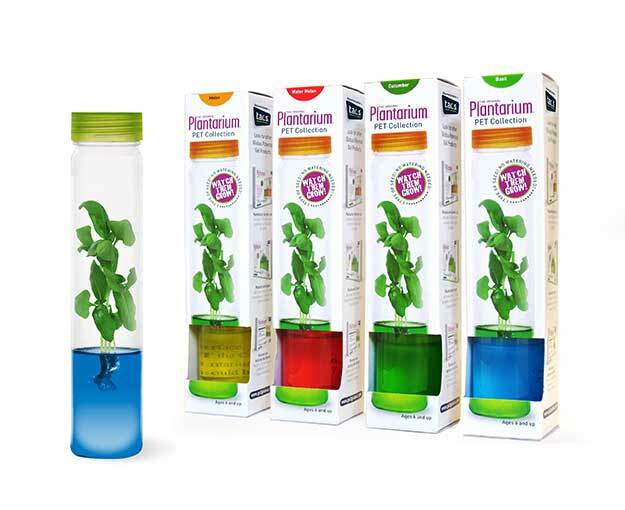 Pour the liquid into PLANTARIUM transparent. Wait until the complete cooling of the gel. Divide the neutral liquid obtained in the containers provided and add the powder in a capsule in each bowl until the liquid is still hot. Mix well with a fork, until no lumps and go immediately to a second firing for the coloration. Wait until the complete cooling of the gel. 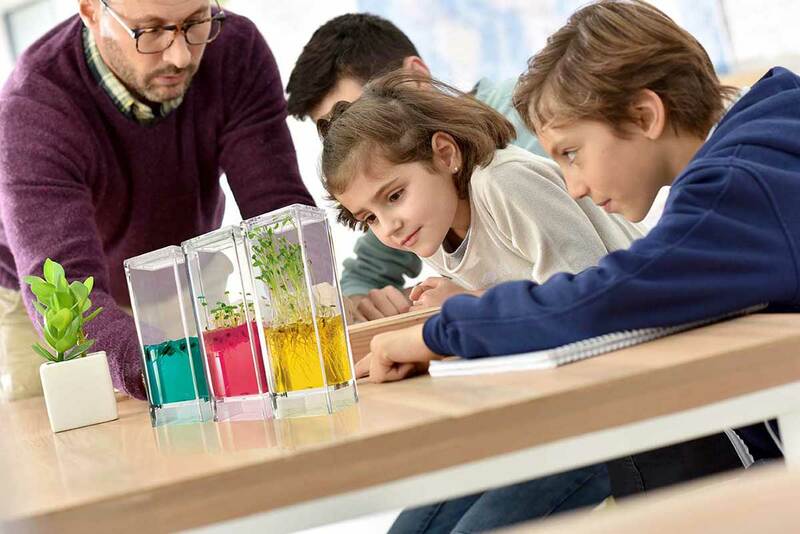 Caution: never touch the seeds or the gel with your hands. 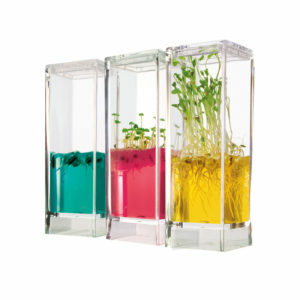 Open PLANTARIUM containing the gel and drop the seeds of one or two species in the gel. Push the seeds under the surface of the gel for about 2 mm. 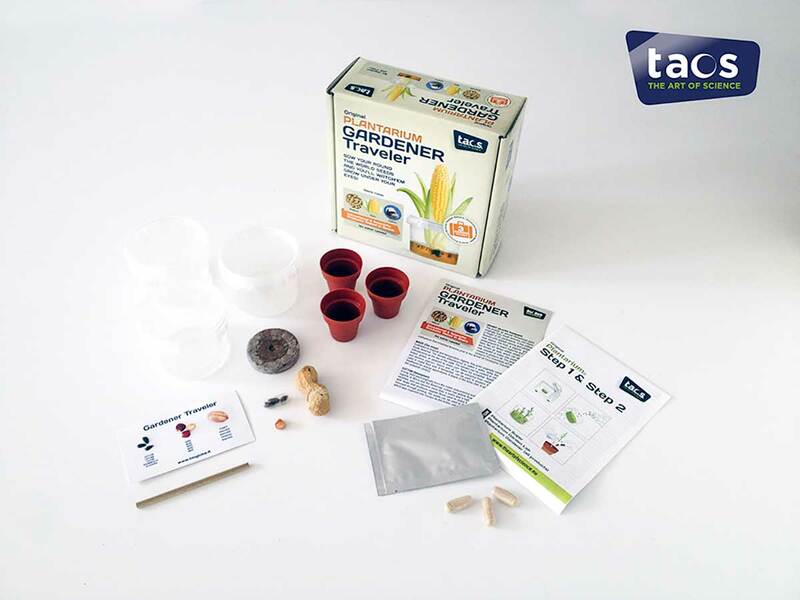 Apply the labels on the container for the classification of the seeds. 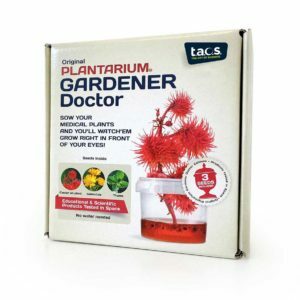 You have then PLANTARIUM in a dark place for faster germination. 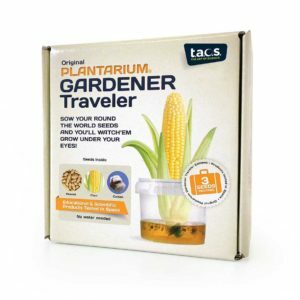 It is also possible to leave her shady spot, but germination will be slower. 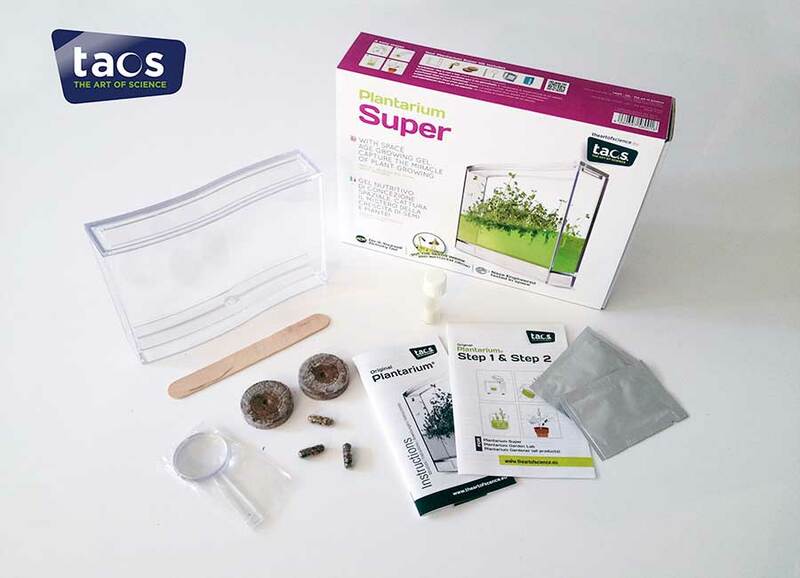 After about a week you will see the seeds throw the first roots, and after about two weeks the bud will be off gel with roots well branched towards the bottom. 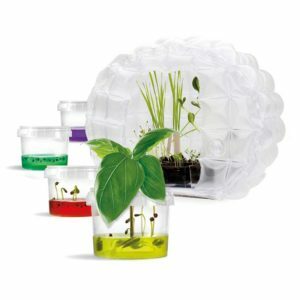 As soon as even a single seed will be surfaced by the gel, place PLANTARIUM in a bright place but never with direct sunlight. 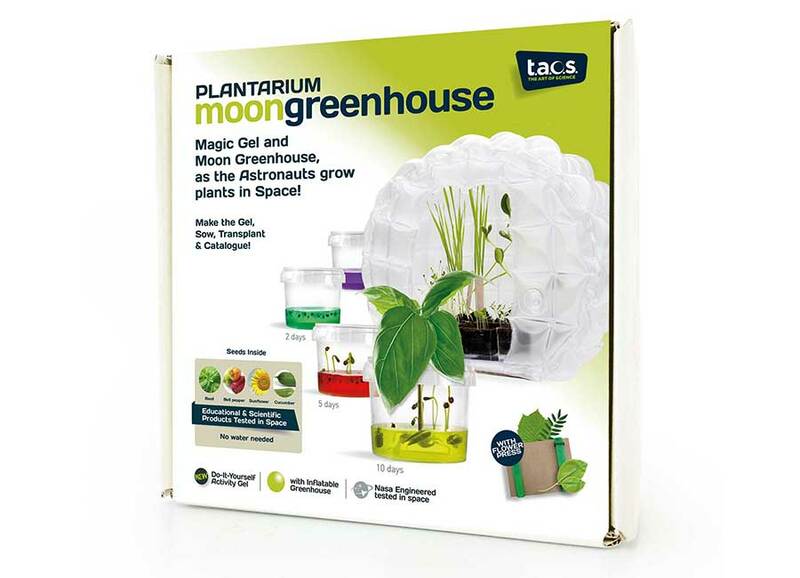 Once the plant grows reaching the top of PLANTARIUM, and you think it’s grown too much, or you feel the presence of mildew stains on the surface of the gel, then it’s time to transplant it. 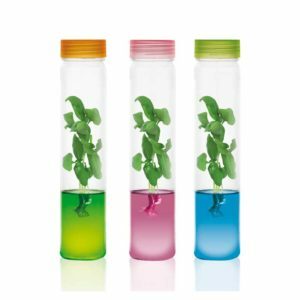 The presence of mildew stains means that your plant has used all the nutrients contained in the gel and it is time to plant it in the ground. Using the spatula long extract the gel with the plan; Rinse well the gel from the roots and place the map on a damp cloth. Add 120 ml of water and then wait for the Earth to expand. Help the pads to absorb all the water you’ve entered by moving with the wooden spatula. 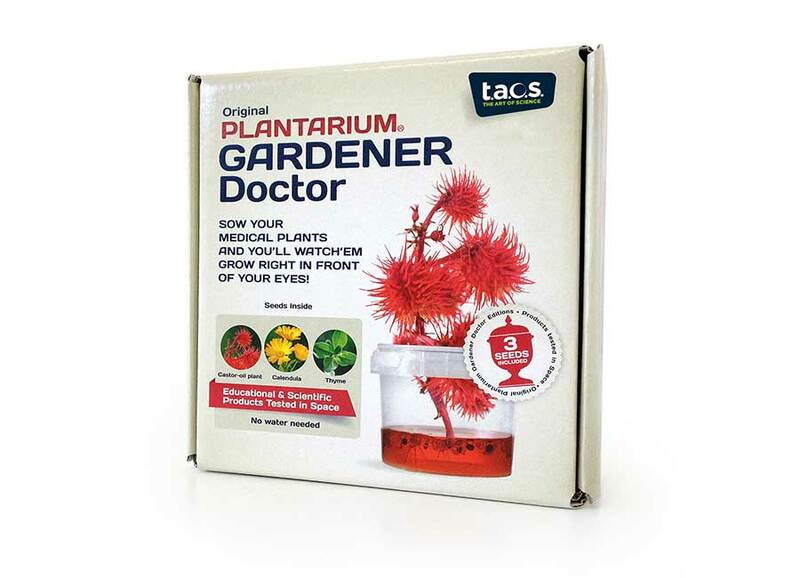 If during the transplant the stem of the plant is broken accidentally, hold a bit of gel, rinse container closure and fill it with tap water and add the pieces of gel. 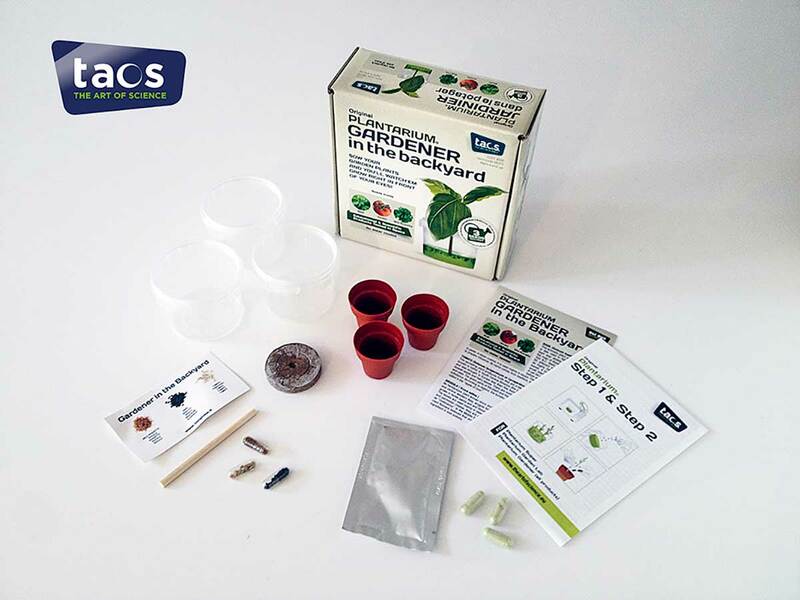 Place the plant in the water and in the gel, close the lid and place the cylinder in a dry, warm area away from direct sunlight and from Windows until other roots are formed, before being transplanted. If the soil becomes too dry and the pads of peat had not expanded completely, add a little water at a time until the full expansion of the pads. 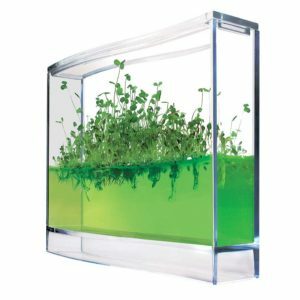 If you added too much water prizes slightly peat towards the bottom of PLANTARIUM to extract as much water as possible. If the earth should be expanded still too moist don’t worry because within a couple of days will return to regular values and will not harm at all the little seedling. 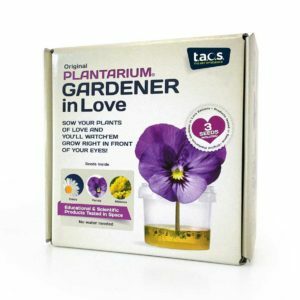 At this point, repot the small plant, one-third of its length, at PLANTARIUM with peat, and place it in a bright place but without direct sunlight. Cover the map with a transparent container (optional) only for the first week. Water it every other day without moisten too peat. 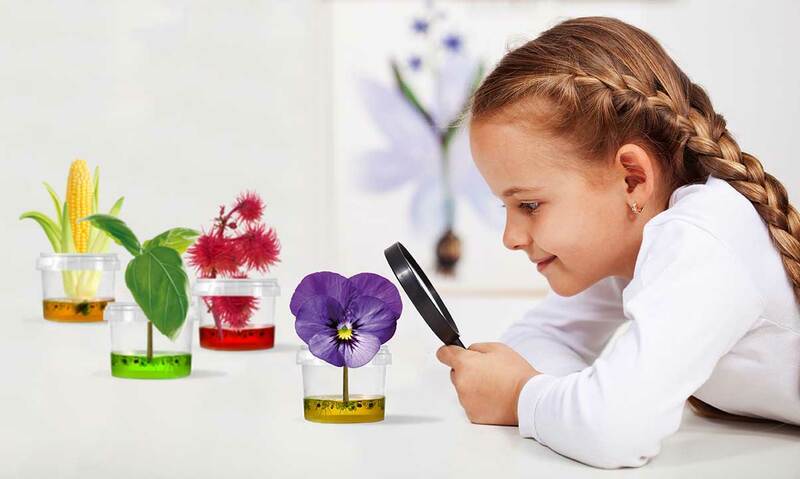 Plantarium: educational activities for kids. 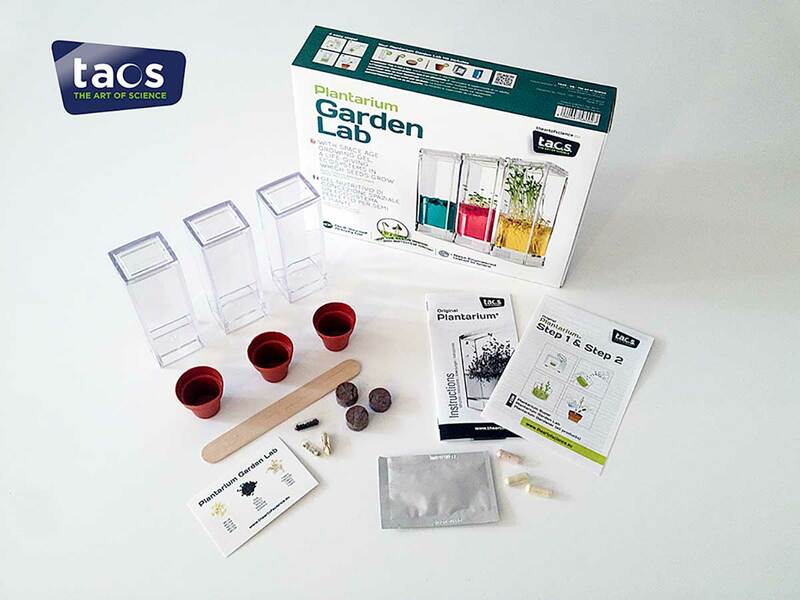 Have fun creating your plant ecosystem and watch it grow! 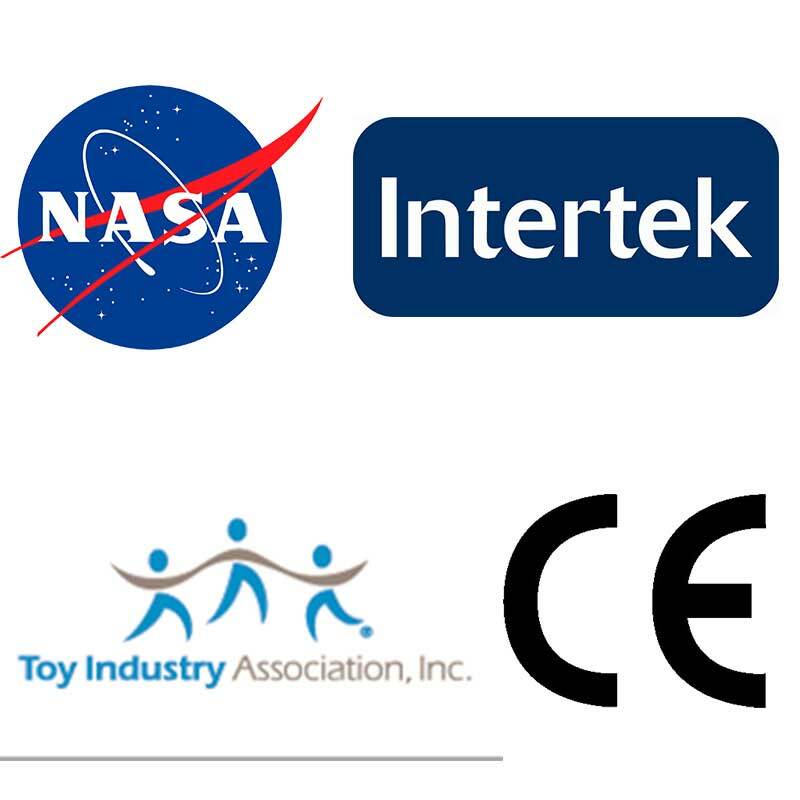 There are several solutions available. Super plantarium is one big container with 3 different seeds available, Garden Lab are three small containers with three different colors of gel and a chance to put in each type of seed. 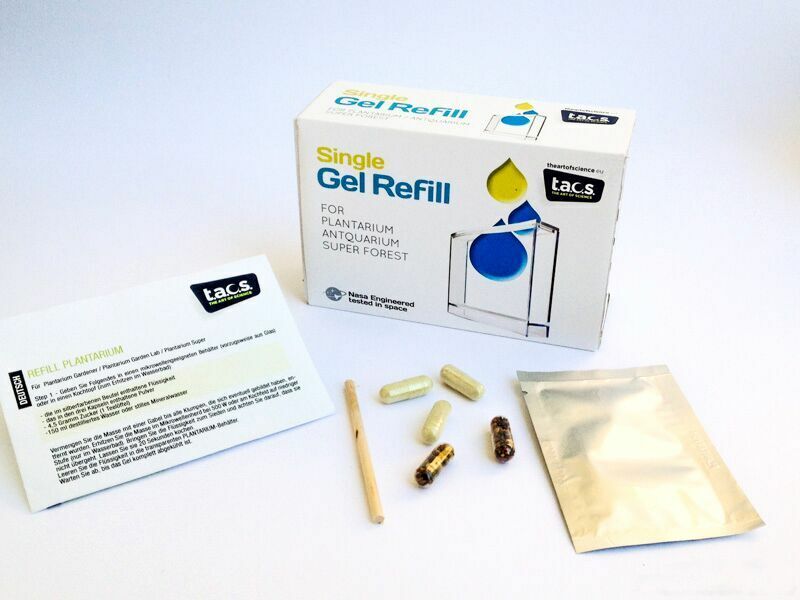 The nutritive gel is made with the kit “do-it-yourself” including through a sequence of simple operations. 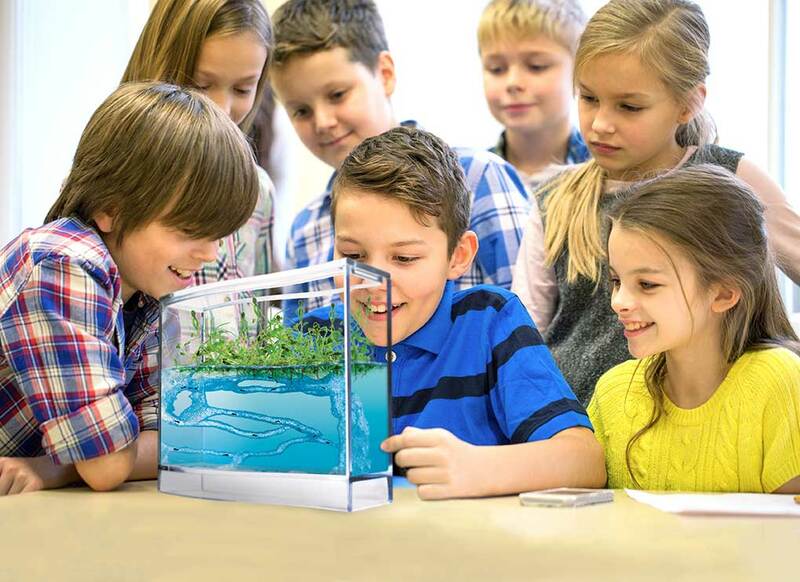 With our educational activities for kids learn English! 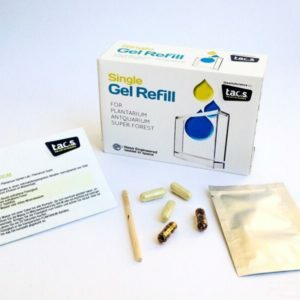 VIDEO - HOW TO PREPARE THE GEL? 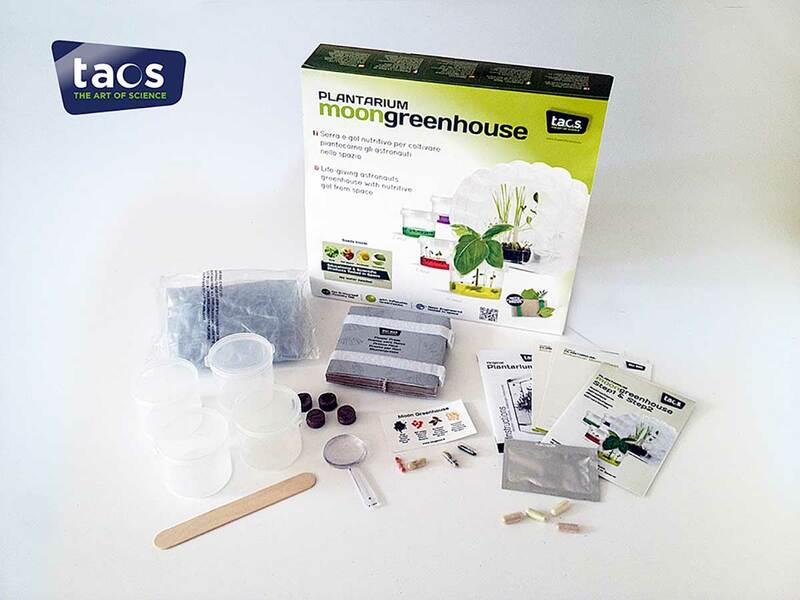 Have fun creating your ecosystem with educational activities for teens Plantarium! 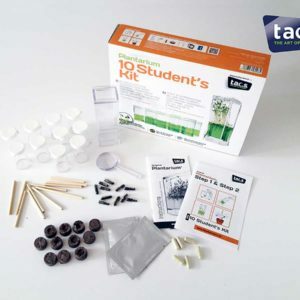 Educational activities for kids: the plants are born within an ecosystem!